Lissandra is always a pest to kill. What if we told you we could make her even more durable than her double invulnerability annoyance that she already is? 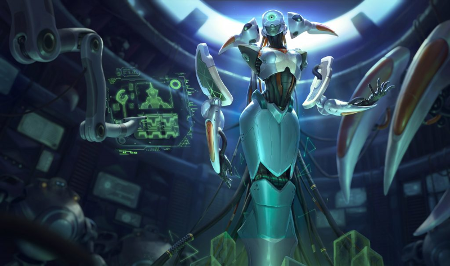 Check out aftershock Lissandra, a champion that's potentially even bulkier than a Malphite on steroids. Behold the latest scoop below! Most games, if you want to get some bulk on Lissandra you'll need to either rush a Rod of Ages or pick up an early Zhonyas. 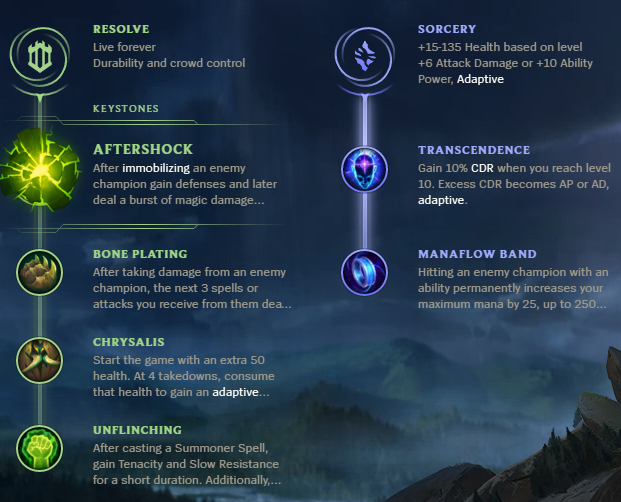 However, by using Aftershock you can still be extremely tanky early game while building damage items like Protobelt and Morellonomicon. Most Lissandras opt for Aery to increase their poke damage or Electrocute to help her 1v1 all-in assassinations. However, Aftershock allows Lissandra more freedom to jump into the enemy team 1v5 to initiate without a high risk of death. Although Lissandra's escape is potent, her heavy harass tactics often make her an easy target to gank. However, by picking up the resolve tree Lissandra becomes virtually unkillable by both the enemy laner and the jungler. This allows her to safely scale into the team fight phase. The obvious flaw to this build is that it trades out burst damage for survivability. As a result, kills that would have otherwise been secured may lay out of your grasp. At the same time, deaths that would be in your vicinity may also be out of the enemy grasp as well. Lissandra has always been a champion that's reliant on her team, and this build only makes it even more so. As a result, playing this in solo queue may be a bit difficult. However, if you're in a 5-man, Lissandra can easily become your main initiation technique and safely exit at full health. This Lissandra build is phenomenal for team play, but lacks solo carrying power. If you're interested in playing in a coordinated setting this is amazingly powerful, but otherwise I'd avoid it for solo queue. What do you think about Lethality Bot Lane Pyke? Comment below!